Clic Eraser lifts graphite lead markings off paper without scratching, tearing or ghosting. 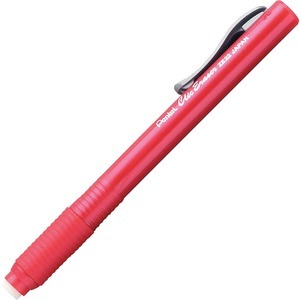 Pen-shaped eraser features a handy pocket clip that advances and retracts eraser with a "clic." Latex-free rubber grip offers comfort during extended use. Clic Eraser uses Pentel's ZER-2 extra-long eraser refill.